← It’s Kjetil’s birthday and Darkest White is out! 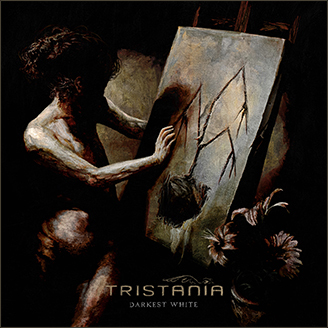 “What we have here is a new, darker, heavier Tristania, and the result is very much a successful album”. “Perhaps one of the band’s most focused albums to date, each song here is a soaring exploration of dark, desolate beauty”. “As a band with a very long and successful career, Tristania shows that they are not stuck in their old ways and they keep pushing the boundaries of their sound. Filled with powerful guitars, excellent drumming, and majestic vocal arrangements, ‘Darkest White’ is one of the best releases that the band has ever put out”. “’Darkest White’ is a classy album that I happily recommend”. “‘Darkest White’ is a diverse and striking album which plays with shadows and light like a devilish puppeteer whilst seducing then wrapping thoughts and emotions in melancholic beauty”. “’Darkest White’ is both an argument and an invitation to other bands, not to get cemented in their comfort zone but to keep advancing their sound and purview new levels”. This entry was posted in News and tagged darkest white, media, press, review. Bookmark the permalink.